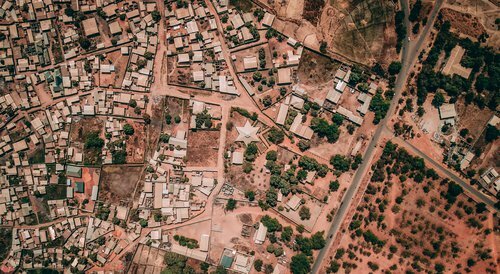 The Annual World Bank Conference on Land and Poverty will be held in Washington DC from 25 to 29 March 2019 under the theme "catalysing innovation"– and that's exactly what Prindex is all about. We're going to be launching our second wave of data at a reception co-hosted with Gallup on 25 March – reserve your place now – and also presenting research at two sessions on the conference agenda, and in one of those sessions we will be presenting two papers. The success of Prindex depends on participation of local and international stakeholders. The Prindex team is committed to this principle of direct engagement of statutory institutions, legislative bodies responsible for generating and reporting on national and international data on Land and Property right in each selected country, civil society, and research institutions. Based on analysis of 33 countries' data, the paper will provide a comparative overview of the responses to the main survey questions around perception of tenure security and insecurity based on perception of likelihood to lose home or other property, and complementary data on the same individual’s perception of their confidence that authorities would protect them, their degree of knowledge about how to defend their rights, and their perception that rights are well-protected, and which elements of the bundle of rights they can exercise. The paper will compare reported perceptions disaggregated by gender and documentation status, between renters and owners, and income groups. With respect to gender, the paper will also report on differences between sexes in a hypothetical scenario of tenure security in the event of divorce or death of a spouse. To make the most of cities and their residents, and reduce the potential for tension and instability, reducing tenure insecurity is vital. Prindex data shows that renters are the most likely to feel insecure and could form an important focus for policy interventions. While rental housing is an integral part of a well-functioning housing market, many governments have done little to support the improvement of rental housing which already exists or the expansion of affordable rental housing. Governments need to employ effective, flexible policies to promote and regulate the rental market.